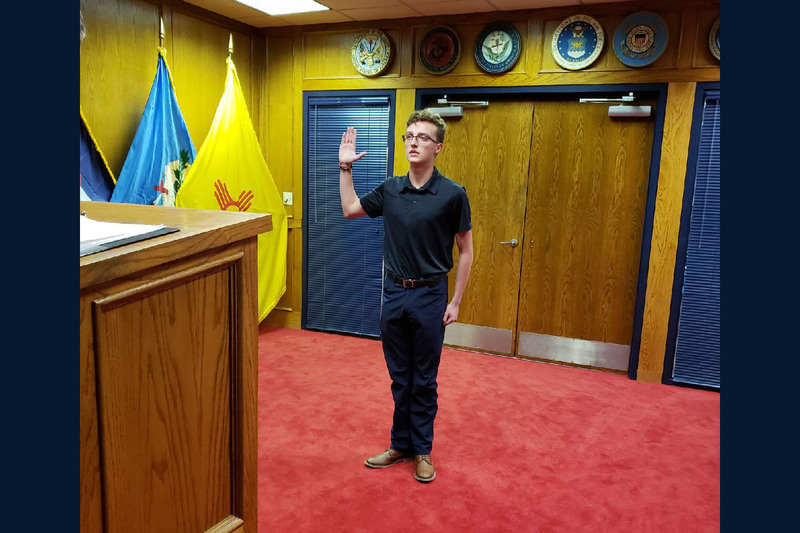 Senior Ian Hughes enlisted in the United States Marine Corps in June. He raises his right hand. His eyes shine with pride. His family and friends begin to tear up as he repeats after the man dressed in uniform. Senior Ian Hughes enlisted in the United States Marine Corps in June. He will depart for boot camp June 10, 2019, just eight days after he turns 18 years old. Hughes’ contract with the Marines states he will serve four years of active duty and four years of inactive duty, totaling eight years of service. Hughes will attend boot camp in either Parris Island, South Carolina or San Diego, California. Throughout his time there, Hughes said he plans to train to become a radio operator. Hughes said countless hours of training were required before his enlistment process even began. Hughes said his grandfather helped motivate him to join the Marine Corps. Hughes said choosing to enlist was one of the biggest decisions of his life. Hughes will train in the Marine Corps boot camp for 13 weeks before he becomes a Marine. He will graduate from boot camp in early September 2019. Hughes said being a Marine requires great mental strength. Hughes said he wants to join the Marines to be a part of something bigger than himself.